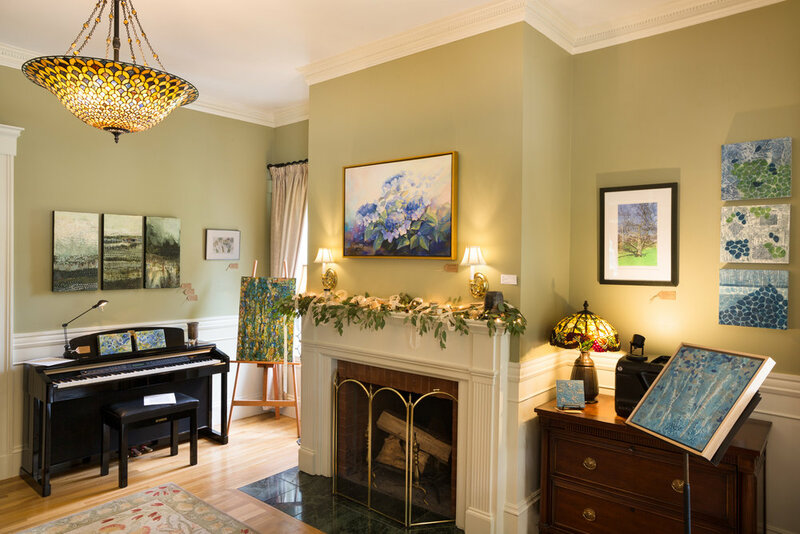 gallery twist (formerly gallery blink) is located in the center of Lexington, Massachusetts, in a beautiful historic home near the Battle Green. Our unique setting in a beautiful historic house, together with the distinctive way we display art, makes ours a gallery with a twist. 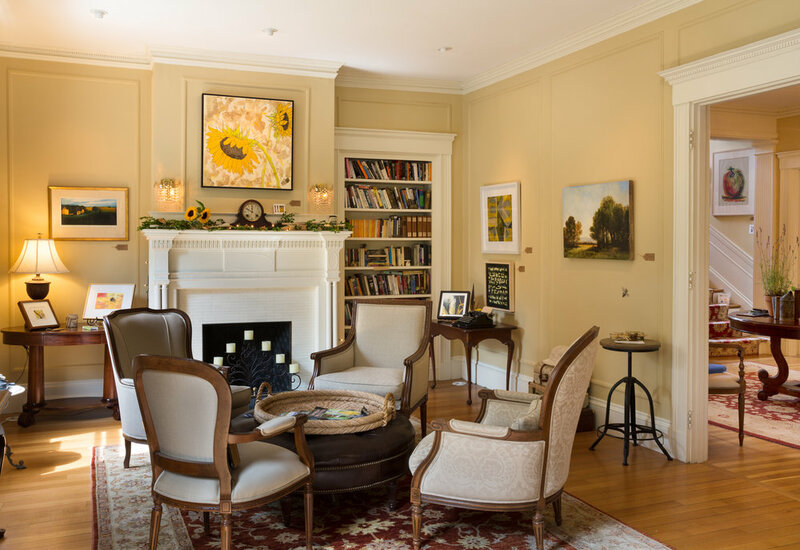 Each year we present five exhibitions that offer visitors an opportunity to enjoy an eclectic mix of New England artwork in various styles and media. Typically 200+ artworks by 30+ artists are shown. Here, in a home setting, you can easily imagine the art in your own home or workspace. We encourage visitors to ‘just be’ with each piece, and offer what many have called ‘an art experience’.